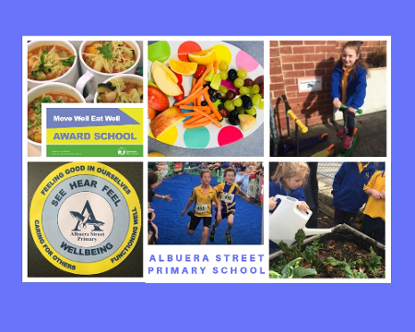 Congratulations to Albuera Street Primary School –our Move Well Eat Well Award School of the Term! Albuera Street are a long-standing Award school, first receiving their Award in 2011. Since then they have clearly shown their on-going commitment to a whole-school approach to being active and eating well. They encourage tasty ‘everyday’ foods through class cooking and hold Gold Accreditation with the Tasmanian School Canteen Association. They enjoy walking to local excursions and have seen an increase in students ‘Striding and Riding’ to school after installing scooter parking. Fantastic work, Albuera Street Primary!